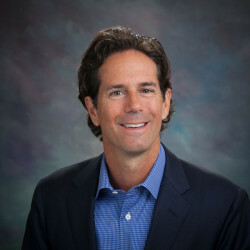 Blair Schlossberg, a founding member of Crown Holdings Group, began his career as an associate with the Atlanta law firm of Alston & Bird in 1991. At Alston & Bird, he gained a broad range of experience in both corporate and real estate law while also participating in their litigation practice. Mr. Schlossberg received extensive experience with residential and retail development, handled closings of construction and permanent financing loans, and gained valuable knowledge of real estate transactions. After Alston & Bird, Mr. Schlossberg joined BWAY Corporation, a NYSE-listed manufacturing company with annual sales of $500 million, as General Counsel. There he served as a member of the Executive, Management, Employee Benefits and Strategic Alliance committees and led corporate restructuring initiatives and advised the company’s board of directors on M&A, real estate transactions, fiduciary issues, and shareholder and labor issues. After leaving BWAY, Mr. Schlossberg partnered with Moshe Manoah to begin Crown Holdings Group. Capitalizing on Mr. Schlossberg’s legal, real estate transaction and financing abilities, together they have completed over $1 billion in real estate transactions mainly in the residential land development, multifamily and retail commercial projects. Mr. Schlossberg also formed StreetSide Developers through which he completed numerous condominium conversion projects and has been a principal in the acquisition, management and disposition of retail and multifamily residential projects. The retail division completed various Wal-Mart, Home Depot and Kohl’s power centers in Georgia and Florida. Mr. Schlossberg is a graduate of the University of Texas where he was President of the Texas Student Body and received the Presidential Leadership Award and Scholarship. He completed a comparative legal studies program at Oxford University (England), received his Doctorate of Law degree from Emory University, and then obtained his MBA from the Emory University Goizueta School of Business. Mr. Schlossberg is admitted to the state bars in Connecticut and Georgia.